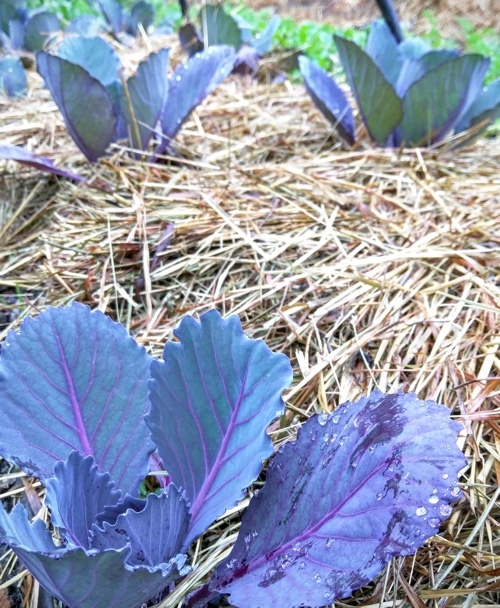 I always grow purple cabbages instead of green ones because of their higher nutrient density – after reading Nourishing Traditions I realized there are a lot of simple substitutions like these that I could make to boost my family’s health while expending zero extra effort. But also because I enjoy creating a kind of tapestry of colors and textures in the garden. There’s something so pleasing to me about the visual juxtaposition of patches of different plants. 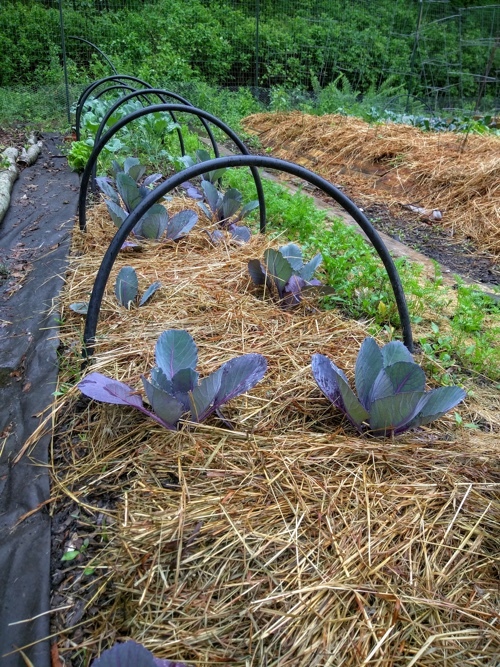 I love the way their purple leaves look against the yellow straw. While these ones probably won’t win any prizes for size, at least this year for the first time they are nearly unblemished and look beautifully healthy. And that alone makes me smile like a dope while I stand there and stare at them. This entry was posted on Saturday, June 11th, 2016 at 12:39 pm	and is filed under garden & farm, homesteading. You can follow any responses to this entry through the RSS 2.0 feed. You can leave a response, or trackback from your own site. Atom, Entries (RSS .92), (RSS 2.0) and Comments (RSS 2.0). 26 queries. 0.237 seconds. Top.